Muv Luv Alternative Integral Works poster size - PX Lounge - The Muv-Luv Community Forum! Not sure where to put this so I'll just put it here. For while now, I been wanting to frame my poster from the Integral Works. But I don't know how to properly measure the poster. So does anyone know the exact sizes of it or the general poster size? Thanks in advance. Most frames are by how big the picture is, but you also need to figure out if you're adding a mat or not. Normally pictures will be 30x40 or 24x36 or something like that. Just measure corner to corner and write down the measurements (width)x(length) and you should be able to find a frame that size online or you could just take it to a shop that has frames and compare the sizes, they will allow you to do that if they have frames just sitting out. 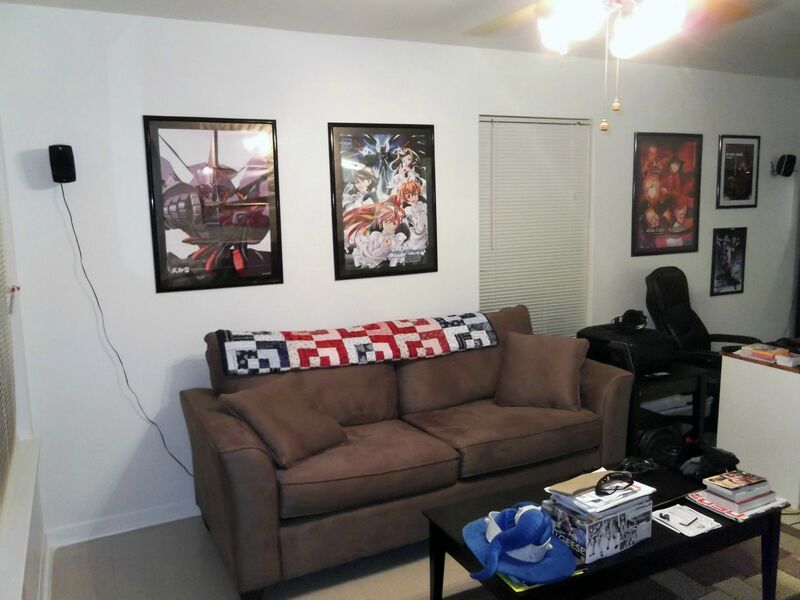 If you mean the Takemikazuchi poster that has the TSF development chart on the back like I have framed here, the actual poster itself measures roughly 20" by 29" so I took a 24" by 32" poster frame and used the giant black sheet that was already inside it as a cheap mat, double sided taping it in place. Cheap, but it still looks pretty great.